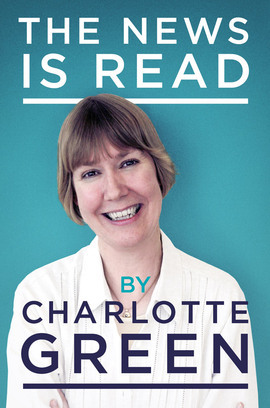 For twenty-seven years Charlotte Green was one of the most iconic newsreaders on Radio 4. Her rich, velvety voice was a staple on the radio and a treat for millions of listeners. Charlotte joined the BBC in 1978 and became one of the regular readers on the Today programme, where her voice proved to be a reassuring constant in the midst of momentous occasions and terrible tragedies alike – her bulletins have covered everything from the fall of the Berlin Wall in 1989 to the 7/7 London bombings in 2005. After leaving Radio 4 in 2013, Charlotte joined Classic FM, where she now presents an arts and culture programme, Charlotte Green’s Culture Club. In this highly entertaining and touching autobiography, Charlotte tells the story of the woman behind the voice, with all the endearing qualities that have delighted her listeners for years and gained her various prestigious accolades. The News is Read is a must-have for anyone wanting to spend a few hours in the company of this warm, charming and wonderfully modest woman whose writing is as engaging as her voice. Reading this is as delightful as having Charlotte's velvet voice in your ear.